Over the last century, between 17 and 30 million gallons of oil were spilled and leaked from ExxonMobil’s historic refinery and storage facilities into the soil and groundwater in Greenpoint, Brooklyn. These petroleum discharges formed an over 50 acre underground petroleum plume that underlies local businesses and a residential section of Greenpoint. The contamination has also been leaching into Newtown Creek for decades. In a 1978 helicopter patrol, the US Coast Guard discovered a large plume of oil flowing out of the banks of the creek. Virtually no action was taken until 1990, when the state entered into consent orders with ExxonMobil. Rather than bring the company to justice, the order required only the most rudimentary cleanup, demanded no cleanup benchmark, and failed to order a single penny in penalties. The spill has been oozing under Greenpoint for five decades, destroying the local aquifer, rendering more than 50 acres of land undevelopable, settling under more than 100 homes on three residential blocks, severely contaminating Newtown Creek, and threatening aquatic life harbor-wide. Riverkeeper has been the driving force in bringing litigation forward, raising public awareness about the oil spill and compelling state officials to address this historic contamination. Riverkeeper discovered the oil spill during a boat patrol of Newtown Creek in 2002, finding oil sheens, floating garbage and abandoned cars littering the Creek. After investigating the source of the oil and the industrial history of the Creek, Riverkeeper filed a federal lawsuit against ExxonMobil in 2004 to hold it responsible for its role in the contamination. Riverkeeper was joined by six Greenpoint residents as co-plaintiffs in its lawsuit. Riverkeeper’s lawsuit was followed in 2005 with a similar suit brought by Brooklyn Borough President Marty Markowitz, and other local elected officials. In 2007, New York Attorney General Cuomo filed a third federal lawsuit alleging similar claims, as well as other claims over which the State has unique enforcement authority. The three lawsuits were all consolidated for case management purposes by the federal court in Brooklyn, and the parties have been actively engaged in efforts to settle the cases for almost three years. Since its first boat patrol into Newtown Creek over eight years ago, Riverkeeper has established itself as the leading pollution enforcer on Newtown Creek, exemplified by its citizen suits against oil companies, cement manufacturers and other polluters. Riverkeeper also helped found the Newtown Creek Alliance, a coalition of elected officials, local residents, business owners and other non-profit organizations working to improve the Creek and adjoining neighborhoods. 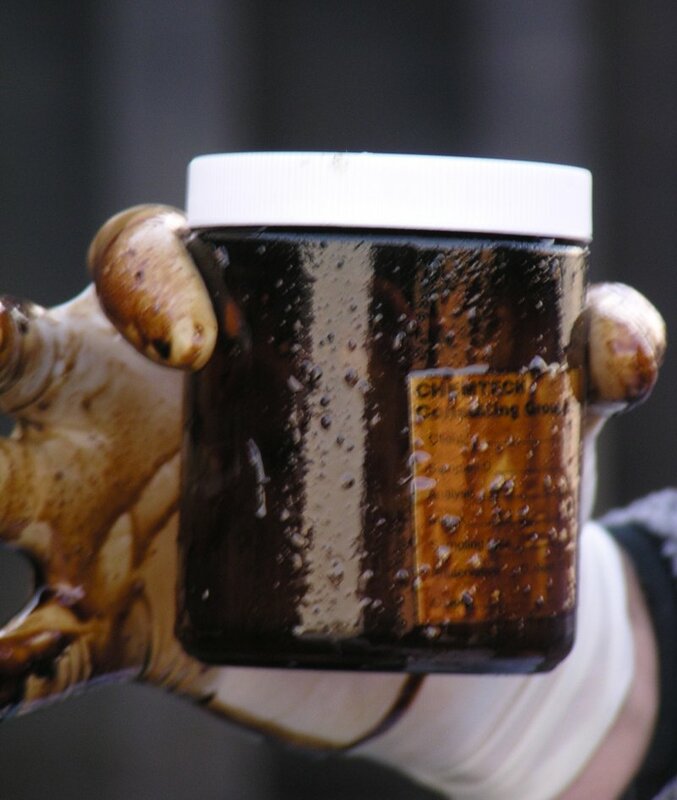 In January 2004, Riverkeeper initiated a citizen suit against two of the world’s largest oil companies for the largest urban oil spill—right in the heart of New York City. In May 2004, Riverkeeper filed the lawsuit itself against ExxonMobil for violation of the Clean Water Act and Resource Conservation and Recovery Act, Brooklyn Borough President Marty Markowitz, and NYC Councilmembers David Yassky and Eric Gioia have joined the case as co-plaintiffs. For more than half a century, 17 millions of gallons of oil have been oozing beneath Greenpoint, Brooklyn, courtesy of ExxonMobil and other oil companies. The spill courses beneath 55 acres of industrial, commercial, and residential property, affecting 100 homes and dozens of businesses. Petroleum from the spill continuously leaks into Newtown Creek; globs of oil and a rainbow sheen constantly coat the surface of this small waterway separating Brooklyn and Queens. The spill – 50% larger than the Exxon Valdez disaster – is a major source of contamination throughout the New York Harbor. Carcinogens, lead, and a bevy of other toxins are carried for miles with the tides and currents. Though discovered 25 years ago and brought under state enforcement in 1990, remedial efforts have been a failure. The companies continue to violate federal law. Riverkeeper took decisive action on January 26, placing the companies on formal notice of the organization’s intent to file citizen suits under the federal Clean Water Act (“CWA”) and Resource Conservation & Recovery Act (“RCRA”). The Greenpoint spill is an environmental affront to both the Brooklyn community and citizens across the city. Riverkeeper’s aim is to accelerate spill remediation, ensure that the aquifer and its soils are restored, prevent oil from entering Newtown Creek, and to protect the health and welfare of New Yorkers. Brooklyn has suffered long enough from these blights and it is time to bring these companies to justice. On October 16, 2008 Senator Chuck Schumer , Representative Anthony Weiner and Nydia Velazquez announced their success in initiating a landmark study of the Greenpoint Oil Spill. On the banks of Newtown Creek, the three were joined by Assemblyman Joseph Lentol , NYC Councilman David Yassky, and more than a dozen concerned residents of Greenpoint. The one year study will analyze the spill’s impacts on Newtown Creek as well as the soil, water, and air in Greenpoint. The elected officials also called for expanded benzene and methane testing and the creation of a federal health registry to track those potentially affected by the spill. The residents are represented by the firm Girardi & Keese. As reported by the front page of the NY Daily News, famed environmental activist Erin Brockovich has signed on to help. To learn more, see www.greenpointvexxon.com.